Prejmer, Romania is a parish located about 15 km away from Brasov, on the east side of the Brasov Depression, and in the proximity of the Olt River. Storks are large, long-legged, long-necked, wading birds with long, stout bills. 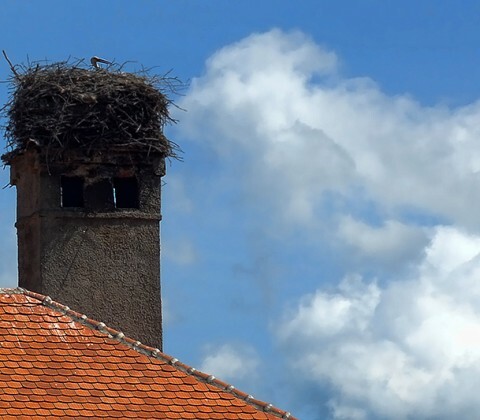 Storks are mute; bill-clattering is an important mode of stork communication at the nest. Their nests can be large and may be reused for many years. Many species are migratory. There are 19 species worldwide and 2 species which occur in Romania, White Storks and Black Storks. 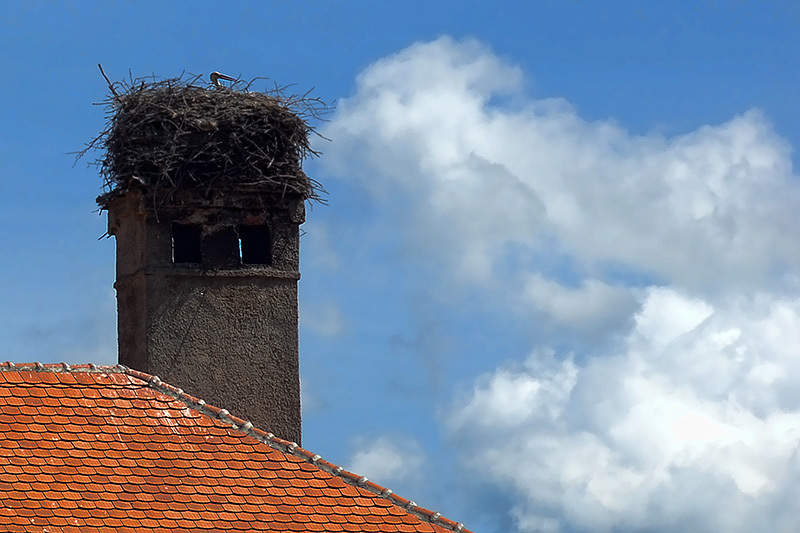 The nest seen here in Prejmer is that of a White Stork.